Sometimes trails can tricky and I know this seems like a very obvious thing, but watch your step! 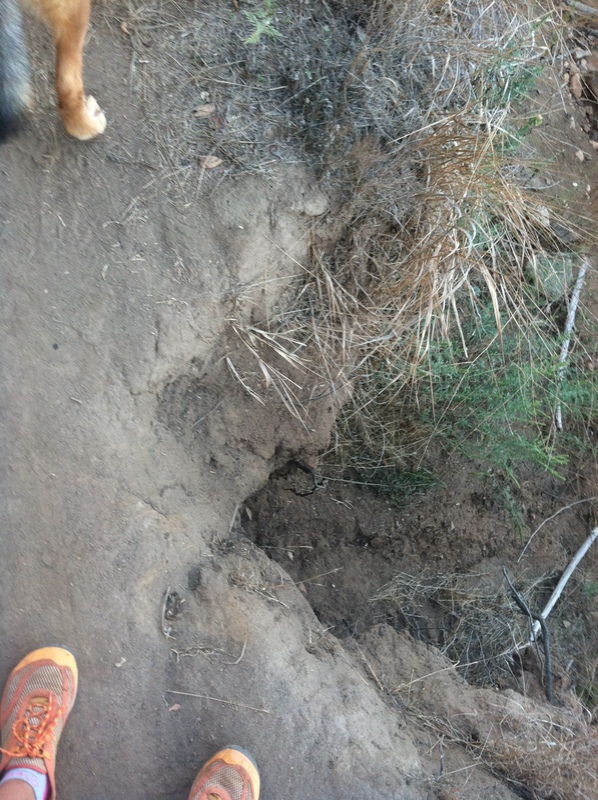 When running on trails, part of the fun is turning the corner and being surprised at what lies ahead. In this case a giant hole in the trail was up ahead that took out two feet of this single track trail (which doesn’t leave very much behind.) This trail obviously has seen some better days, and with one wrong step I would have slid down the slope unexpectantly.